We are all in preparation for a very busy summer season; kicked off locally at the Devon County Show in Westpoint, Exeter 21st – 23rd May. This popular Westcountry event showcases the best the county has to offer in livestock, food, drink and crafts and is in its 120th year. 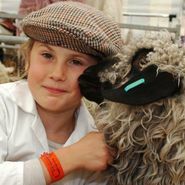 It’s not too late to get tickets so head to their website www.devoncountyshow.co.uk and we will see you there!